Walking past UTS today I was confronted by this sign in the middle of the foot path. Is this a part of a protest movement against another oppressive regime? Another cause they we should all be standing up in support of? 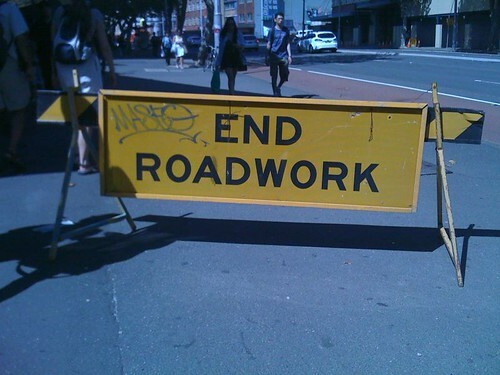 Everyone please support the End Roadwork campaign. This entry was posted in Humor, Photos and tagged campaign, photo, sign, UTS. Bookmark the permalink.